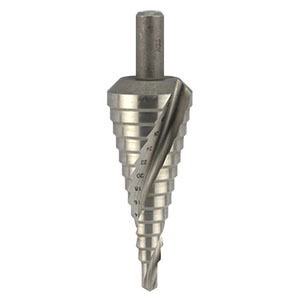 Multiple step and countersink tool for drilling and countersinking boards and metals up to 5mm thickness. They may also be used for cutting through holes of the A1 diameter in solid surface worktops using a hand drill. A cutting lubricant should be used on hard metals. 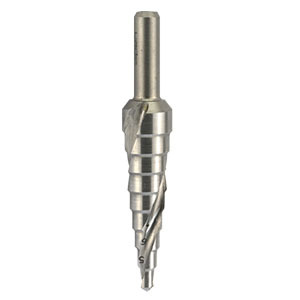 These are high quality HSS cutting tools for reliable operation.